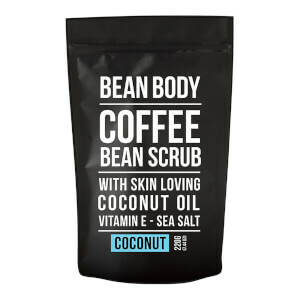 Bean Body Coffee Bean Scrub is a 100% natural and vegan exfoliator. All their products contain Fairtrade Robusta coffee beans which are primarily grown in Africa and also contain more caffeine in than Arabica beans. Vitamin E oil is also added to each body scrub to ensure the skin is moisturized. Originating from Australia, this brand was created as there was a lack of affordable, organic products on the market. 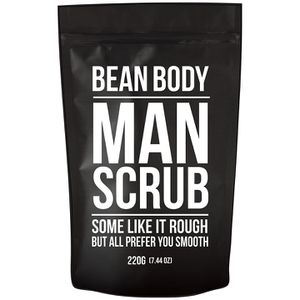 Bean body explains how everybody you should feel beautiful on the inside and out at a reasonable price. 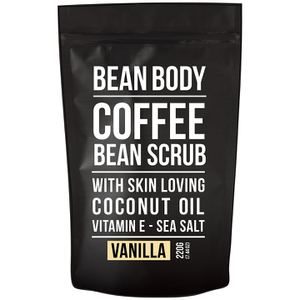 The main ingredient in all the body scrubs is coffee. This bean is extremely beneficial for those who want to banish different skin issues. Caffeine helps stimulate the blood flow which helps fight off the appearance of eczema, age spots and cellulite. Caffeine contains amazing anti-inflammatory properties which help fight dark circles under the eye as well as puffiness leaving you feel reenergized. 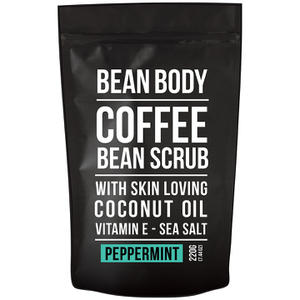 Our favorite body scrub is the Bean Body Coffee Bean Scrub- Mandarin. This exfoliator can be used on all skin types and all over the body. The formula base is coffee which helps dehydrate fat cells, minimizing the appearance of cellulite therefore giving you smoother skin. Coconut oil has been infused in this product which keeps the connective tissue strong therefore improving moisture retention of your skin. Mandarin oil provides a good source of vitamin C which is essential when improving the skins complexion giving you flawless glowing skin. 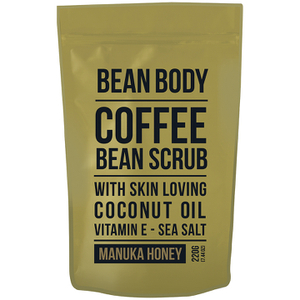 Packaged in a gold sachet, Bean Body Coffee Bean Scrub – Manuka Honey, this vegan body scrub is still suitable for all skin types with the added benefits of Manuka honey. Manuka honey helps balance the skin’s pH which helps prevent blemishes and is also rich in B Vitamins allowing the skin to hold on to moisture therefore preventing dry, flaky skin.